Having trouble with your credit card payment? Due to the size of some transactions on our site, a few of our new customers have reported getting a "card declined; authorization failed" error message when attempting to pay by credit card. If this happens, you may need to contact your bank or credit card company to authorize the transaction and then reattempt your order. It should go through without a problem. 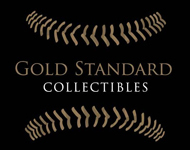 We apologize for the inconvenience and look forward to helping you build your collection!